Mike’s Beer has a proud heritage of producing some of New Zealand’s finest real craft beers – over the past 27 years. mike’s is now recognised as New Zealand’s Oldest Real Craft Brewery, commencing brewing in 1989. Meet mike, take a brewery tour, taste beers as well as some great wines, cider and the odd surprise. Just 30 min drive up the coast, a pilgrimage to the brewery and tasting shop makes for a lovely stop before or after the School. Often described as the jewel in New Plymouth's crown, Pukekura Park covers 52ha (128 acres) right in the heart of the city and is one of New Zealand's premier botanical gardens. With a diverse range of landscapes, the park features bush walks, formal gardens, lakes, children’s play areas, a sports area and a Tea House. 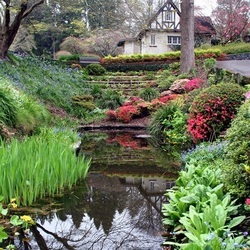 The park includes the Fernery and Display Houses as well as the adjacent garden estate area of Brooklands, home to the acclaimed TSB Bowl of Brooklands and Brooklands Zoo. 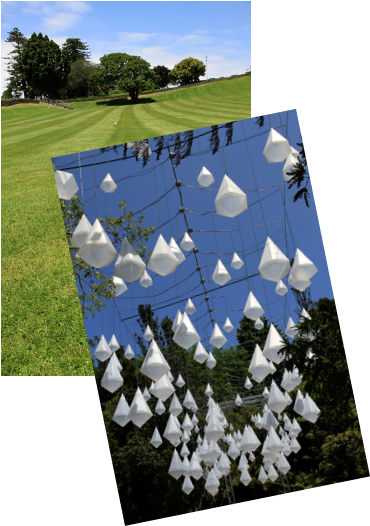 As a popular destination for locals and visitors alike, Pukekura Park lights up over the summer as the backdrop for the annual TSB Bank Festival of Lights, which occurs throughout the Summer School. Also known as Mt Egmont, this symmetrical volcanic cone stands 2517 metres high and lies at the heart of the 33,534 hectare Egmont National Park. This popular park has more than 140 kilometres of walking tracks taking in waterfalls, native bush and scenic vantage points. There is also skiing from June to August. A climb to the summit of Mt Taranaki takes a person of average fitness about four hours, although climbers are warned to check with Department of Conservation rangers as conditions can change rapidly. 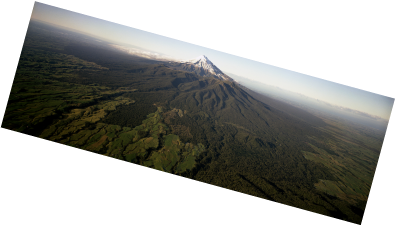 The Department of Conservation operates from both North Egmont and Dawson Falls Visitor Centres and offers audiovisuals, displays, hut, track and mountain safety information. 487 Mangorei Road, New Plymouth. A beautifully restored garden and home. This garden is sculpted from a hillside overlooking the Waiwhakaiho River. Pukeiti is a 360 ha rainforest property best known for its rhododendron collection. It is located between Mount Taranaki and the coast, just south of New Plymouth. Pukeiti was established in 1951 and is currently listed as a Garden of National Significance by the New Zealand Gardens trust, Pukeiti is an internationally recognised garden and plant collection and one of Taranaki's iconic visitor attractions. 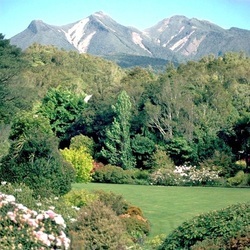 Located within easy reach of the town centre King Edward Park is an ideal sanctuary to experience countless varieties of plants, mature trees and birdlife and fast-flowing mountain streams. King Edward Park has its beginnings in 1875 when the Hawera Town Board set aside a section comprising of 28 acres as a recreational reserve. From there the park has become a very attractive and well-kept facility in the district.King Edward Park is home to a number of interesting historical items. The large wrought iron entrance gates on the corner of Camberwell Road and High Street commemorate the Industrial Exhibition of 1904 and the smaller side gate was erected in memory of those troops from the Hawera District who died in South Africa during the Boer War.